Crowborough Tennis and Squash Club is continually working to offer first class tennis and squash facilities within Crowborough and the wider Wealden area. Sport is an essential part of community life and we are committed to improving what we can offer residents of Crowborough and the surround areas. Regular investment and ongoing maintenance ensure that we have some of the best combined facilities within Crowborough and Sussex. 9 Hard Courts (Macadam) 7 of which are fully floodlit. 2 are set up with the addition of Mini Tennis markings. 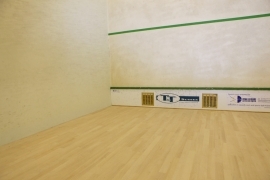 4 newly refurbished Squash Courts, one of which one is a Championship standard glass back. 3 Courts have a viewing gallery. A Table Tennis table is located behind the Glassback Squash Court. The Squash Court is available for hire for those requiring more space. Equipment is available behind the bar. The bar has a comfortable lounge with a widescreen TV. The bar serves a range of competitively priced wines, spirits and beers. Also a range of enticing bar snacks are on offer. A host of social events run in the bar throughout the year. The bar is also available for hire on a Saturday night after 6:30pm. The club offer both male and female changing rooms and newly refurbished showers. The club offers both 'The Pavilion' and 'The Studio' for room hire. 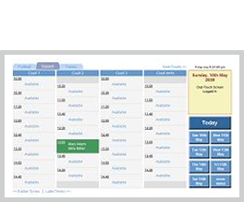 There are also opportunities to hire Squash Courts during the day. The Bar is available to be booked out of hours by Members. Please see the notice board for further information.